I’ve had a number of phone call inquiries at my design studio recently that haven’t started well. The person on the other end of the phone has been upset before they called me and were expecting me to add to their frustrations. Answering the phone to an angry person is scary and I’m on the back foot from the start. During each call, it took me a while to get to the root of their pain. But when I finally got them to open up, the problem was a common one. In almost every case, their agitation was due to the perceived failures of the retailers they had met so far. In almost every case they felt they had been led “around the houses” by salespeople. Ultimately, they were more overwhelmed and confused than they were before they started. There’s no right or wrong when it comes to kitchen buying. There are solutions out there for everyone. However, things can get difficult when your priorities and budget aren’t aligned with the company you choose to work with. The problem is that so many kitchen retailers claim to be offering everything to all people. How do you know they will be on your side after you’ve signed on the dotted line. Most people don’t buy a new kitchen every week. In fact, many of us are lucky if we buy a new kitchen in a lifetime. As with anything we don’t do very often, understanding the process can be difficult. What should you expect from your kitchen buying experience? Well, In my opinion you need to establish your priorities up front. Understanding what matters most to you will help to guide you in the right direction. 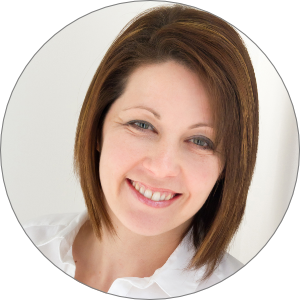 Let’s look at a few priorities and I’ll do my best to advise on what you should expect from a kitchen retailer. Finding the cheapest deal is difficult. You need to look in all the right places to find the real bargains. Believe it or not, the main high street retailers are not the cheapest. That includes Wren, B&Q and IKEA. 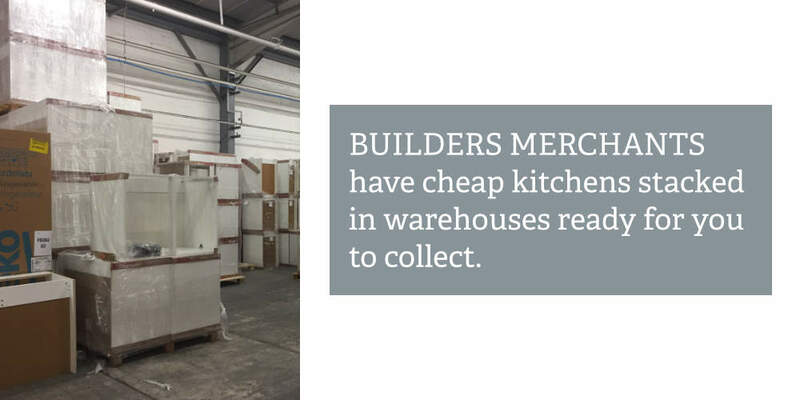 To the best of my knowledge, the cheapest way to buy a brand new kitchen is to go direct to a builder’s merchant. Some only sell to the trade but you might be able to set up an account. Alternatively a local tradesman could be willing to buy the kitchen units for you, especially if he’s going to be fitting it. The quality of a budget kitchen will be compromised by the price. The density and thickness of the cabinet panels will be less than in the next price bracket. You can also guarantee that any edging or finishing material will be the cheapest available. This will have an affect on the longevity of the carcass. Drawers and hinges might not have the guarantees offered by known brands like Blum and Hettich but they will function and, when you have a tight budget, that might be all that counts. Low budget kitchens are limited in the design options available. Colours and finishes will be constrained and solid wood or quality veneers will be off the menu. Lowest price kitchens will be a vinyl laminate and these can look great. But a word of warning. Never boil a kettle under a cheap wall cabinet and never cook without a decent amount of extraction. All that heat and steam will have the laminate peeling off in no time. Flat pack kitchens can be an even cheaper option but I would never recommend them to anyone. There’s simply no need to take this route unless access to the room is impossible. Factory assembled units are always the way to go, even if it costs you a few pounds more. Sales need to be taken at face value. 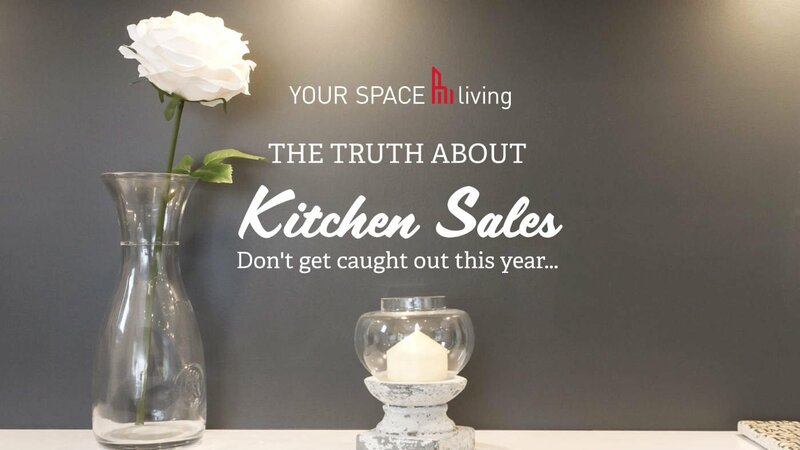 As I have written about in the past, the majority of kitchen sales are completely bogus. Prices are often hiked up before they are “slashed” in an effort to win your business. Don’t fall for it. 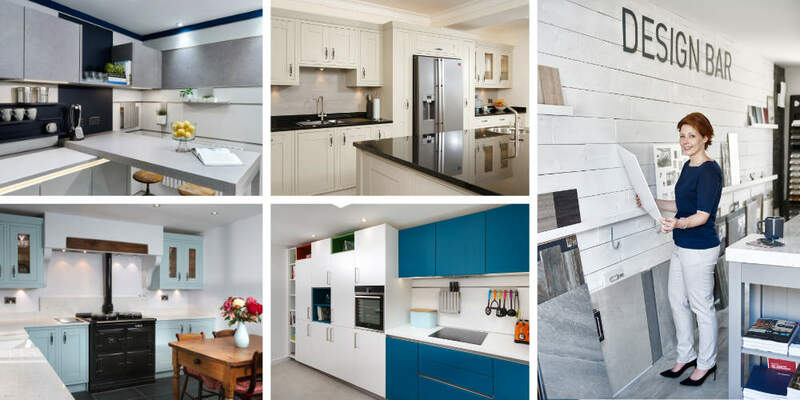 However, some kitchen retailers do sell off old showroom displays and this route may help you achieve a good quality kitchen at a lower price. Do bear in mind ex-display is a second hand kitchen and subject to all the caveats that come with any second hand purchase. What about the service you can expect when price is your priority? In truth, you shouldn't expect the ultimate service. The low end market won’t have the scope to provide a qualified designer. At best you’ll have access to a computer operator who’ll be able to lay out digital cabinets into a pre-defined space. You won’t have anyone dedicated to your kitchen either. If you go back for a second or third discussion on layout or style, you should expect to meet a different person. Of course, there's more to kitchens than just cabinets and doors. You'll also need worktops and appliances. Builders merchants will be able to supply both but they might not be the cheapest. When it comes to appliances, Google will be your friend. Be aware that with a low cost installation, you may have to take responsibility for the appliance delivery and installation. Worktops can be purchased from specialist wholesalers who sell to the trade and the public. They will have low cost options and may offer more choice than a builders merchant. If you are buying your worktops from a different supplier to your cabinets, make sure that everything is compatible. Don't get caught out on simple things like worktop depths and cabinet dimensions. It's also worth noting that a builder’s merchant won't project manage your installation. They won’t be organising the plumbing, electrical work, tiling, decorating or the kitchen installation itself. That’s going to be down to you and it’s the most challenging aspect of any kitchen renovation. So there you have it. When price is your priority you will have to accept the truth of the situation. There are thousands of kitchens installed on the tightest of budgets every week. Many of them are perfectly acceptable to their owners. It’s all about adjusting your expectations and making the best of your decision to go down the low cost route. This is a challenging priority. In order to understand the true quality of the furniture you are purchasing, you are going to need to have a working knowledge of materials and construction. I studied furniture design for three years and achieved a BA (Hons) degree on the subject. During that time I learned about all of the different woods and materials, as well as the methods of construction used to make modern furniture. I know great quality furniture when I see it and that’s why I only work with a very select range of products. Without that knowledge, how will you know you are looking at a high quality kitchen? At the top end of the market you have the bespoke hand made kitchens. There are several in the UK, each offering a wonderful kitchen buying experience with outstanding, hand crafted, cabinetry. You’ll know you are in the right place because the kitchens they supply will start at around £30,000.00 and go up to six figures. This type of kitchen is as much a work of art as it is a functional room for your house. The bespoke manufacturer will have their own factory and will be happy to take you on a tour to show you how the furniture is crafted. These kitchens are for the elite high earners. If you’re after quality and have the budget, this is the way to go. Obviously, there’s no point installing a £100k kitchen into a house valued at £150,000.00. Where do the rest of us look when we want quality without breaking the bank. First thing is to be realistic with your budget. 10% of the value of your house would be a reasonable budget for a quality kitchen. If your home valued at £250,000.00, you'll need to consider a £25K budget. Depending on the extent of the renovation, this budget will include appliances, worktops and installation. The £25K price tag puts you firmly into the ‘mid market’ kitchen. In this price bracket you need a retailer willing to show you the nuts and bolts of the kitchens they sell. They need to demonstrate clearly why their furniture is superior to the low budget cabinetry in the previous section. I deal with two kitchen manufacturers. From Germany I offer Schuller and I commission a top UK factory to manufacture my British range. Schuller is one of the world’s leading kitchen manufacturers. Solid carcases which have been beautifully engineered in both form and function. They are stunning to look at, totally bullet proof and have a great back up service. Other German manufacturers also stand out, such as Siematic, Leicht and Bulthaup. 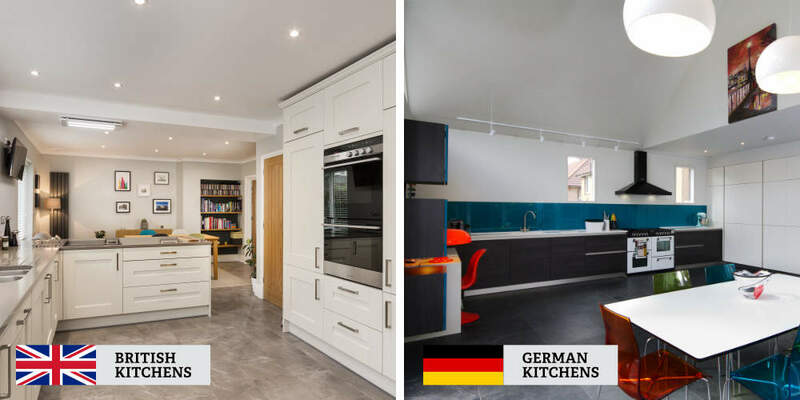 If you like the contemporary style and want a quality kitchen, any one of these German brands would be a good choice. When it comes to British made kitchens, things are slightly more complex. The British system is different from their European counterparts. The UK factories haven’t had the same levels of investment as Germany. Very few make their own doors. Instead, they buy doors from the continent and assemble the carcasses in house. These UK factories supply retailers either directly or through brand names such as Crown, Mereway and Symphony. I have chosen to work with a bespoke factory based in England. I work with them because they build furniture to my exacting specifications. I’ve used all of my education and experience to create a range of kitchen furniture that meets the highest standards of quality. 18mm panels, glued and doweled, rigid construction and the best hinges and drawer runners available. I'm extremely proud of my British cabinets. They look great, are built to last and fantastic value for money. If you do have the budget for a British made "Clive Christian" or "Tom Howley" Kitchen, you should go for it. If not, there are still great quality kitchens out there, it’s just a case of asking your retailer to demonstrate that quality to you. Looking at kitchen worktops, quality conscious kitchen buyers usually go for engineered stone, granite or composite products such as Corian. Variations in quality do exist in these products. When it comes to engineered stone and granite it's vital that you choose a reputable brand. We work exclusively with Cosentino because they are market leaders and supply exceptional quality surfaces. Their granite product "Sensa" is made from the finest materials available and is both beautiful and durable. Their engineered stone product "Silestone" is 97% quartz, making it resistant to all kinds of potential kitchen hazards. Then there's "Dekton", an engineered stone that's unique in its production and one of the toughest surfaces around. The fabrication and installation company who shapes and installs the worktop in your kitchen is also a crucial factor in the quality process. If you're looking for quality, you need a "gold" standard worktop fabricator on board. That's the only way you can fulfil all of the warranty requirements that come with Cosentino products. With appliances many people relate quality to certain brands, such as NEFF, Seimens and Meile. You won't go far wrong if you choose any of these manufacturers. But there are others who offer durable, well made products with all the functionality you'll ever need. My advice is to do your own research and buy the appliances you trust to deliver the level of quality you want. Don't feel cornered by a kitchen retailer forcing you choose a particular brand. It's still a free country and you should buy the oven or the washing machine that suits you. This is one of my bug bears with the kitchen retail sector. 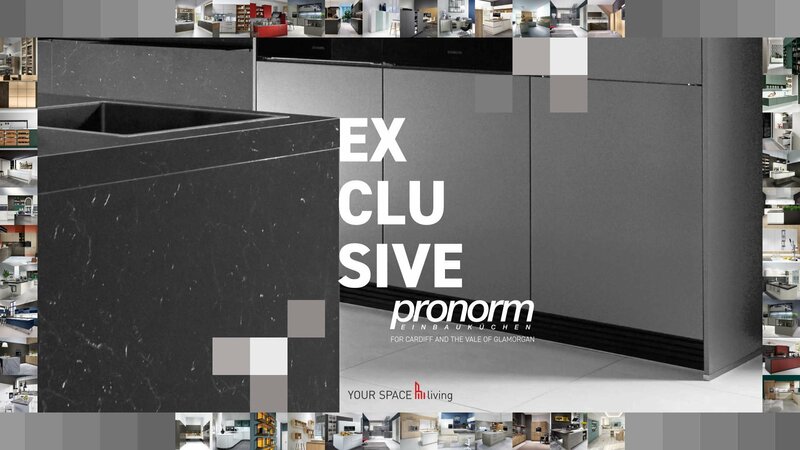 Every showroom in the UK offers a design service and customers automatically assume their new kitchen is being created by a professional “designer”. This is a long way from the truth. The majority of kitchen retailers, particularly those in the mainstream, employ salespeople not designers. I studied furniture design to degree level and made my own furniture. After graduation I spent six years working as a designer for a prestigious bespoke manufacturer in London before moving back to Wales to start a family. My credentials and experience speak for themselves. I attempted to redress this issue by entering into a debate with other retailers through the trade magazine “KBB Review”. I suggested that design degree graduates should be employed in the KBB industry. I feel you should have access to a designer who has learned the fundamentals of design through a formal method of education. By the time the debate had concluded, It was clear to me that most retailers have no interest in employing qualified designers. In fact many have very little interest in design at all. They are focused on profits and you need to be aware of this if design is important to you. We have already established that you won’t have much design input when it comes to low cost kitchens. At best you’ll have a computer operator visualise a layout for you to consider. At the top end of the market you should have access to not only a qualified designer but also someone with experience and a proven track record. That designer should be with you throughout the process and focused on your needs. When you are paying top dollar for your kitchen you need continuity. Your designer should be in constant communication and ready for any changes you might request. Then, when the kitchen is delivered and installed, they should be on site regularly to ensure the kitchen they visualised turns out exactly the way it was designed. I'm a designer, not a saleswoman. I pride myself on delivering the best designs for my clients. With mid market kitchens that cost over £15k, the level of design input is going to range from extremely poor to outstanding. Unfortunately there are no rules and regulations in the UK, so it’s going to be down to you to judge for yourself. The first warning sign you should look out for is when a retailer offers “free” kitchen designs. Firstly, this is a lie because no mid market retailer can afford to offer free designs. It’s highly likely the cost of the design is hidden in the overall price. Secondly, any kitchen retailer who thinks kitchen design should be advertised as “free” implies they see no value in design. If the way your kitchen looks and functions is important to you, it should be equally important to the retailer you are working with. Next up is the quality of the design work and whether or not you like it. You should ask the designer if they have any formal qualifications before you engage with them. A weekend computer course at head office isn’t good enough. A mid market kitchen that’s taken you years to save for should be designed by a degree graduate and nothing less. They should have a portfolio of work that you can relate to. It must be their own work on display, not the general portfolio of the retailer. Additionally, the contents of the portfolio should be in line with the style of kitchen you like. It’s no good employing a kitchen designer who only designs traditional kitchens if you want a contemporary look. Kitchen design is a complicated issue that is hampered further by the lack of standards or regulation in the industry. All I can say is that time is the most precious commodity you have. 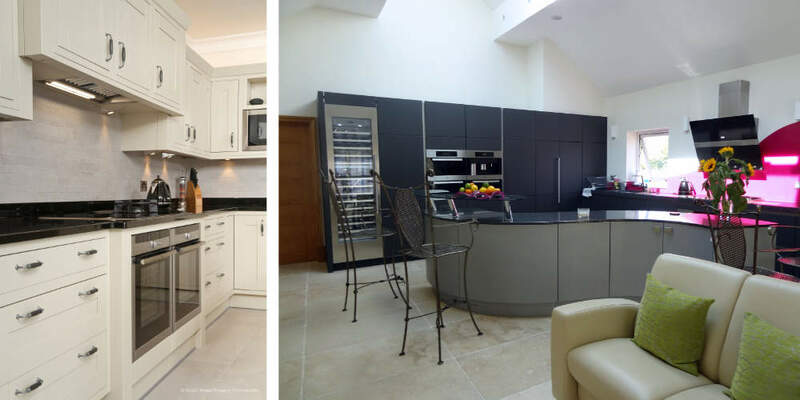 You’ll save a huge amount of time by going straight to a professional who has the training and experience to create your dream kitchen. Unfortunately it’s difficult to find high quality designers in any of the large retailers. They are basically sales machines with no time to pander to your needs. The larger retailers, with their TV adverts and endless marketing budgets, have unsuspecting customers queueing up. They don’t need your difficult design demands getting in the way of their sales figures. 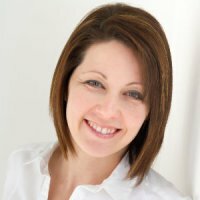 The design focused kitchen buyer needs to go to an independent kitchen retailer with an outstanding reputation. The independents have a vested interest in your happiness. They need your business and your future recommendations. So what if you want it all? Believe it or not, I do meet people who want cheap kitchens of the highest quality, which are beautifully designed. I tell them the same as I’m telling you here. It can’t be done. As a serious kitchen buyer you need to decide where your priorities lie. With your priorities in place, you need to know your budget. 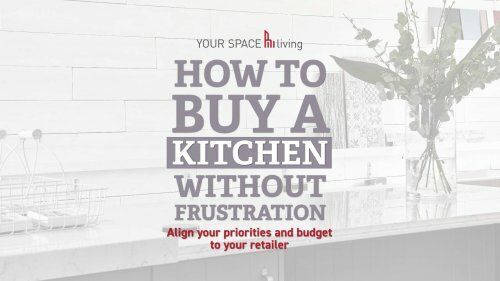 If you can align those two factors with a suitable retailer, you should be on your way to a successful, frustration free kitchen transformation. I feel passionately that buying a kitchen should be an enjoyable experience. Whatever your priority and whatever your budget, you deserve to be treated with respect. The kitchen industry often forgets that, which is why so many customers end up frustrated and angry. 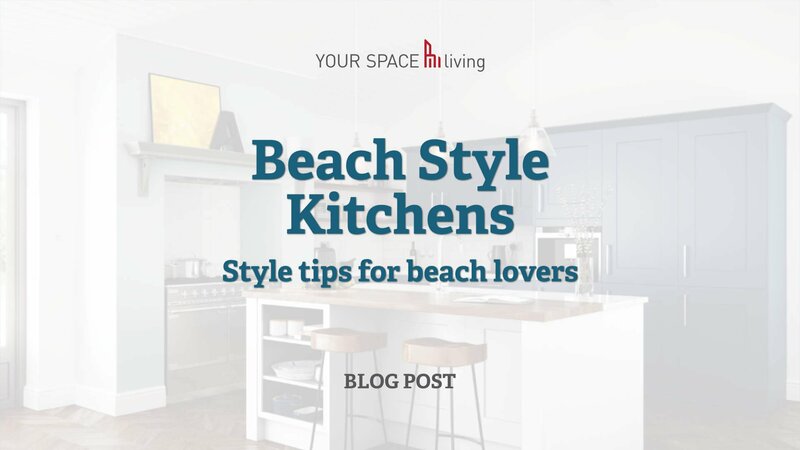 My hope is that after reading this post you’ll be more prepared and able to take a better route towards your perfect kitchen. And then, when you call me, you’ll be in an altogether happier mood.